Panasonic GX8 - More Leica than Leica? If that logo was real and not photoshopped, would a photographer from the mid 20th. timemachined to the present be anything other than convinced? There is no doubt that the Panasonic GX8 looks the part. Lookaleica, faux rangefinder, whatever you like to call it, it sure looks old school, retro and aesthetically pleasing. For me, in terms of looks and performance it's far and away Panasonic's best ever camera. A wonderful blend of old looks and cutting edge camera tech. So nice I bought another one. And while I have genuine doubts about the future of mirrorless cameras for me personally, I can't deny the pleasure that using the GX8 gives me. There is no doubt that has a lot to do with Panasonic's Leica associations. Of all the mirrorless manufacturers they seem to me to have the best chance of producing interesting cameras and lenses that are something more than scaled down copies of what has gone before. And with the GX8 they have eschewed their usual 'bridge camera design ethic' and come up with something aesthetically pleasing and good to handle. Sure, as ever with mirrorless cameras, there is the issue of poor battery life, too many unnecessary menu items and too many knobs and dials. And as ever with these cameras having to navigate between menus and physical controls to access features leads to over complication. But it is hard to resist the retro, 'old school charm' and despite myself and my constant calls for a modernisation of camera design, I can't help but enjoy the GX8. Inconsistent? Well yes of course, but then regular readers would expect nothing less. And hard as it may be to understand for some, I find it perfectly possible to entertain conflicting ideas at the same time. The GX8 was VERY close to being my camera of the year. And that poor battery life was probably the only reason the Canon 5Ds won out. And if, as I suspect, my campaign for 'better' mirrorless cameras yields far less positive results than I would hope, I can't say that having to use cameras like the GX8 is any particular hardship. I'd love to see a more powerful battery and an overall simplification of menus and controls, because then I think it would have been a very special camera. But compared to many of it's marketplace rivals it's a pretty good attempt. 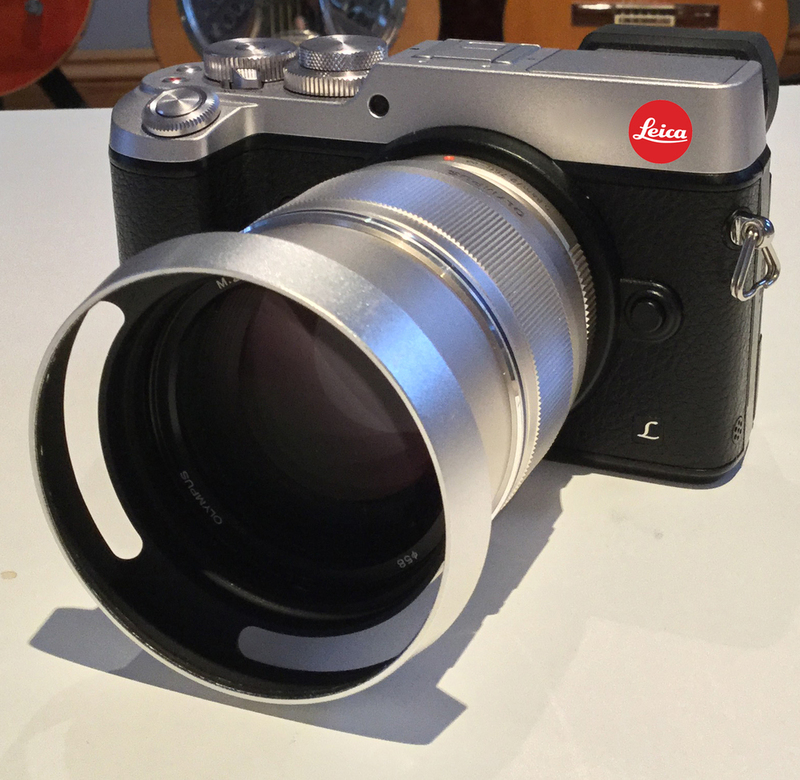 And try as I might I do find it difficult to resist that 'faux rangefinder' 'lookaleica' appeal (hence the photoshopped red dot) And if Panasonic are going to copy instead of genuinely innovate in terms of aesthetics and design, at least they copy from the best.